Welcome back to Anthropology Friday. 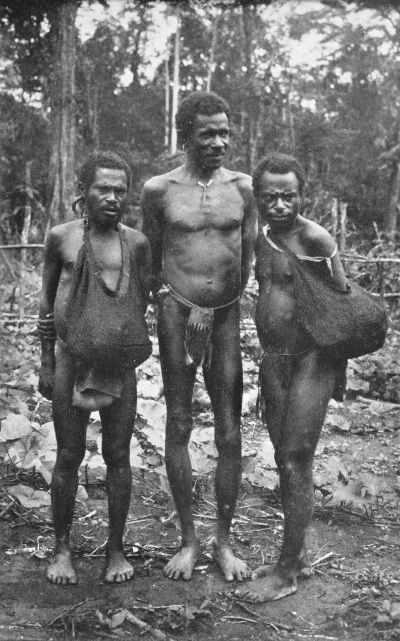 Today we are reading A. F. R. Wollaston’s Pygmies and Papuans, published in 1912. Wollaston’s primary purpose in traveling to Papua New Guinea was to study the birds (as was Jared Diamond’s,) but he decided to also write about the people he met. “It is unfortunate that there is no common language along the S. coast, nor even a language with words common to all the dialects in use. We were visited on one occasion by the Dutch Assistant Resident from Fak-fak; the native interpreter who came with him, and who knew all the native dialects of the Fak-fak district, could not understand one word of the Mimika language. 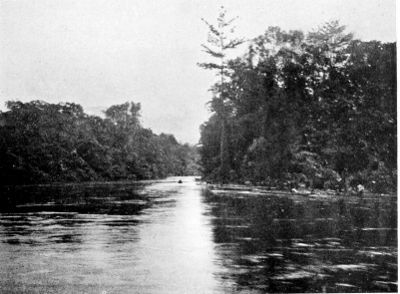 On another occasion some natives from Mimika were taken down by steamer to Merauke, the Government post in S.W. New Guinea, not far from the boundary of British Papua, and there they found the language of the natives quite unintelligible to them. EvX: For more on societies with very few words for numbers, see Caleb Everet’s Numbers and the Making of Us. It is interesting to note what a wide variety of numerical systems exist in the world–not only systems that employ unfamiliar bases like five, 20, 60, or twelve, or linguistic systems with a triplet form (just as we have a plural), but also systems in which numbers are highly constrained, like that of the Mimiko, who have only the numerals for one and two (plus use of their hands and toes,) or more extremely, like the Piraha, who have no numbers at all. “With patience we learnt a great number of substantives, the names of animals, the parts of the body, the various possessions of the natives and so forth, and with more difficulty we learnt some of the active verbs. But when we came to abstract ideas, our researches ceased abruptly for lack of the question words, who, how, where, when, etc. ; these we were never able to learn, and it is impossible to act them. “Even the apparently simple matter of enquiring the names of places is not so easy as one would think. When the first party went up the Mimika to Parimau they pointed to the huts and asked what the village was called; the answer given was “Tupué,” meaning I believe, the name of the family who lived in the huts pointed at. For several months we called the place Tupué, and the name appeared in various disguises in the English newspapers. “Beyond question, the happiest time in the lives of the Papuans is their childhood, when they are free to play from morning to night and need not take part in the ceaseless search for food, which occupies so much of the time of their elders. As infants they are carried on the backs of their mothers and very often of their fathers, secured by a wide strap of bark cloth, the ends of which are tied across the carrier’s chest. It is very seldom that you hear them cry and they appear to give very little trouble; their mothers are very careful of the cleanliness of the infants. Very early in life they begin to walk and almost as soon they learn to swim. In fine weather they often spend the greater part of the day in the river and it is a very pretty sight to see a crowd of little Papuans playing together in the water. … They very soon become powerful swimmers, and I remember one day seeing a small boy, who cannot have been more than eight years old, swim across a river in tremendous flood, while the party of men who were with him had to seek a place where they could safely swim across half a mile lower down. “From the description of them which has been given in this and the two preceding chapters it will be seen that the conditions of life of the Papuans are as primitive as those of any people now living in the world. There are very few other places, where you can find a people who neither make nor possess any metal and who have no knowledge of pottery. The only vessels that they have for holding water are scraped-out coconuts and simple pieces of bamboo. Water boiling they had never seen before we came among them. Their implements and weapons are, as I have shown, of the most primitive kind, and their ornaments are of the rudest possible description. “Cultivation of the soil is only practised by the people of one or two villages, and even then it produces but a very small proportion of their food, so it follows that most of their time and energies are devoted to procuring the necessaries of life. “The struggle for existence is keen enough, the birth-rate is low and the rate of infant mortality is, I believe, very high. Nor do diseases spare them; syphilis is exceedingly prevalent, and was probably introduced by Chinese and Malay traders to the West end of the island, whence it has spread along the coast. Tuberculosis is happily absent, but two natives of Wakatimi were suffering from what appeared to be certainly leprosy. Skin diseases, notably tinea imbricata, are very common; and almost every person appears to suffer occasionally from fever of one sort or another. “But in spite of all these drawbacks the Papuans of the Mimika are not such a very miserable people. They are strong, those of them that survive the ordeals of infancy and sickness; they have food in plenty to eat, if they choose to exert themselves sufficiently to obtain it; they have their amusements, songs and dances; and the manner of their lives is suited to the conditions of the country in which they live. It is this last consideration which ought ultimately to determine their fate: they live in a wretchedly poor country which is constantly liable to devastating floods, and their habit of wandering from one place to another, where food may be obtained, is the only way of life suitable to the physical and climatic conditions of the country. Interesting. One of the things you notice in PNG is the variation in peoples there. Some areas are more mathematically inclined (historically) than others which is showing out in school performances these days. Quite remarkable that fully a quarter of the worlds languages are on that island. Speaks to a remarkable stability over an extended time period, with little interchange between peoples. For all that the peoples there are constantly niggling at each other, there is nothing like total war. It’s a really interesting place.